In October 1974, Muhammad Ali would attempt to regain the world heavyweight boxing championship title that was stripped from him when he refused the Vietnam draft seven years earlier. 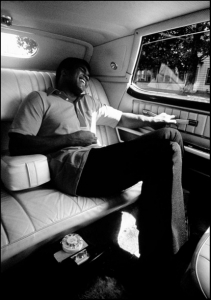 He faced the brutal, undefeated George Foreman in Zaire, Africa, the fight he had dubbed “The Rumble in The Jungle”. Only weeks before, on August 11-12, photographer Peter Angelo Simon was invited to experience the private world of one of the most famous people on the planet as he prepared mentally and physically for the biggest challenge of his life. 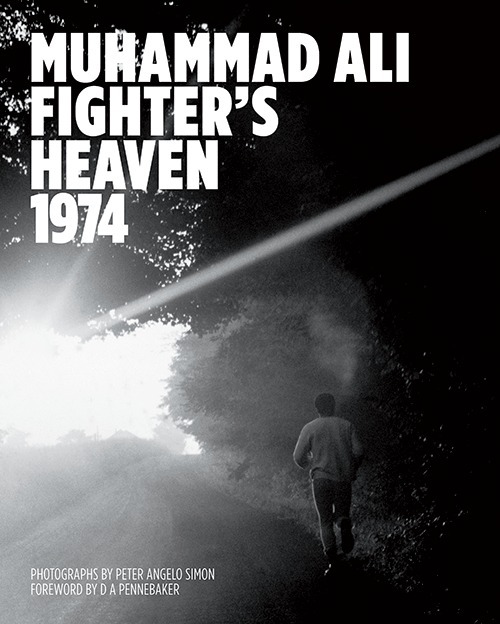 Muhammad Ali: Fighter’s Heaven 1974 presents these rare photographs, the majority previously unpublished, as a 176-page hardback book. This two-day photo essay captures Ali the man, unguarded, away from the glare of the media spotlight at his Pennsylvania sanctuary. It includes a foreword by D A Pennebaker, foremost chronicler of American counterculture in the sixties, and an introduction by Peter Angelo Simon. “I shot 33 rolls in the two days. Ali said nobody had ever taken so many pictures of him. I believe these photographs reveal aspects of Ali’s fascinating character not previously seen.” Few photographers got as close to the boxer behind the legend. This extraordinary book reveals the preparation for a seminal moment in cultural and political history. This title is released in August. 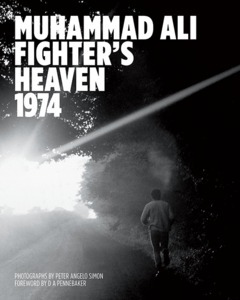 Muhammad Ali - Fighter's Heaven 1974 from Reel Art Press on Vimeo. Peter Angelo Simon on his experience shooting the champ in '74.